Funny how a card reader and calculator sits close by. It is nice to have memories of the sound cash registers made. No one will ever take that away from us. I can tell I'm getting old....I remember the sound of these cash registers. Nice perspective in this photo! That is one fancy cash register! Interesting history fact too. I like the look of that one. That is one old register! Very cool! 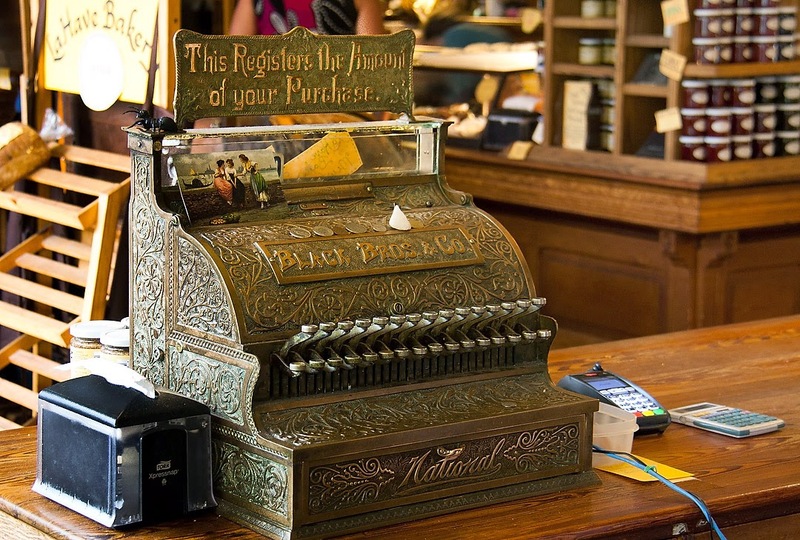 Interesting history and one very fancy cash register! Neat!